Photoshop Week 2017 is almost upon us, and it’s time to buckle down with your computer and learn some new tricks of the trade. We’re bringing some exciting Photoshop courses to you this year (head over here for a full list of what to expect), but let’s get a jump-start with a quick tutorial in Linked Smart Objects. This Photoshop CC feature is part of a huge update and is especially handy for photographers who want to change a smart object in one document, and then have it automatically change in their original Bridge document as well. 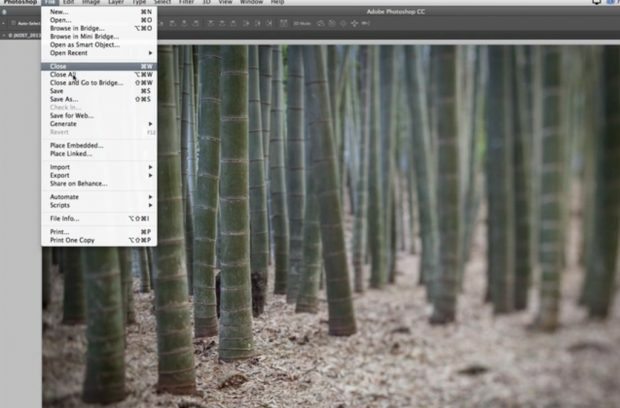 Check out this easy step-by-step guide to familiarize yourself with Photoshop’s latest and greatest feature. Step 1: Open up an image in Photoshop, head over to the File menu and scroll down to Place Linked. You’ll be able to select the image (or logo) you want to appear on top of your original image, do a quick resize, and then start editing. Step 3: Once you click “Edit Content,” Photoshop will open up your image in its own window and you can go to town. Simply make your changes, save the file, and close it. Not only will the changes be automatically be updated in the master document, if you return to Bridge, you’ll notice that your original image has also been updated. To learn more about Linking Smart Objects, including some helpful troubleshooting, check out the tutorial from Adobe Principal Evangelist Julieanne Kost below!